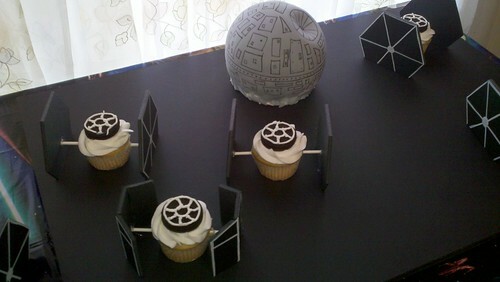 Okay, I don't exactly get it, but it looks geeky and cool and there's a DEATH STAR cake involved! Image courtesy bgbriangillespie. You can see the entire Star Wars birthday set here.